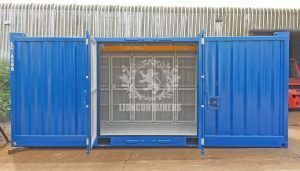 Our DNV 2.7-1 certified containers are built for the offshore oil and gas industry, to withstand the rigours presented to them at sea, the challenges of offshore installations, and avoid failure even when faced with extreme conditions. For further information, please contact us and a member of our team will be in touch. 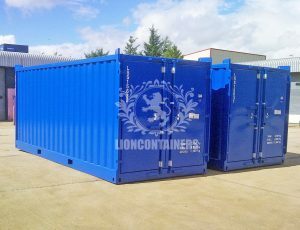 Lion Containers Ltd supply and deliver DNV 2.7-1 certified specialised containers for the offshore oil and gas industry. 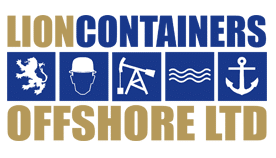 Our containers are built to withstand the rigours presented to them at sea, the challenges of offshore installations, and avoid failure even when faced with extreme conditions. We are also able to offer containers to DNV 2.7-3; items such as temporary offices and control rooms intended for offshore use which do not fall into the standard DNV 2.7-1 for containers. We are able to supply 10ft and 20ft DNV/ISO offshore containers to the latest standard of DNV 2.7-1 / EN12079BS to suit the global market. A Cargo Basket is an open top container which is used for general or special cargo. They are complete with tarpaulins or cargo nets, securing points, drainage and multiple tie down points as standard. They can also be fitted with anti-slip flooring or bespoke paint work. For transporting dangerous or non-dangerous fluids. For transporting solids in bulk. For special cargo e.g. bottle racks. 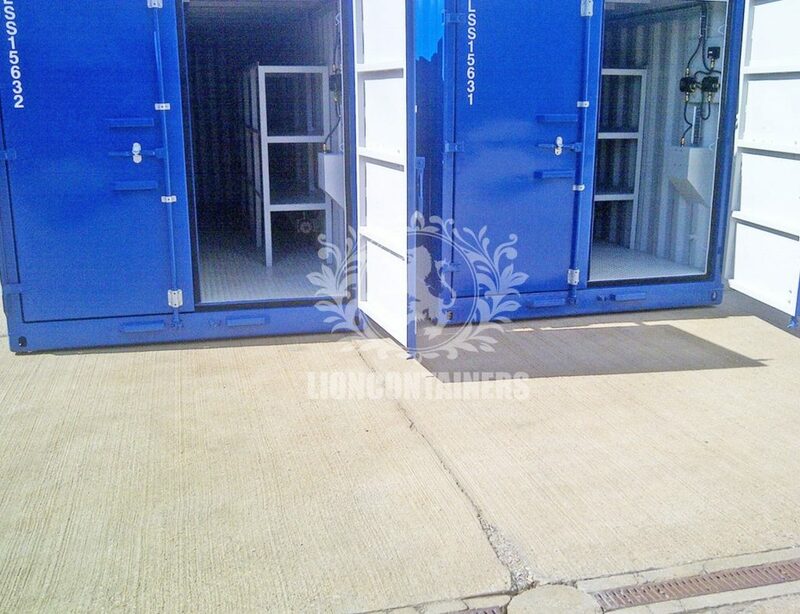 Offshore containers are built and are equipped for a special service task, mainly as a temporary installation (e.g. laboratories, workshops, stores or control stations). We manufacture new workshops and laboratories that are certified to the latest DNV 2.7-1 / BS/EN 12079 standards and compliant to ATEX. The workshops and labs are all built to our clients own bespoke requirements meaning we can facilitate any industry type and ensure that we are providing a safe and comfortable fit for purpose working environment. 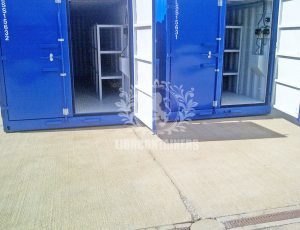 Open or closed offshore container for storage and removal of waste normally constructed from flat steel plates forming load bearing sections, bracing in form of steel profiles and loose or hinged covers. These need side mounted lugs suitable for attaching lifting equipment on a skip lift vehicle as well as pad-eyes. We have a small team of trusted hauliers working for us here in the UK. Deliveries normally take place between 7am-8pm, Monday to Friday, however we can work outside of these times if so wished. We also provide site visits to those more tricky delivery areas, all members of our team have passed their CSCS card test. This means that they are able to visit sites in order to reduce accidents and drive up on-site efficiency. Should you require your container for shipping purposes, we can provide you with a CSC Verification Certificate, our professionals will test and certify your new or used 40ft container to ensure it is structurally sound and safe to ship your cargo by vessel.